Yes, we are aging. Every day. That’s a simple fact of life. But we’re also living longer than ever before and we have a remarkable opportunity to enjoy our longevity by making good choices and paying attention to the role of healthy cognitive function in our overall ability to live – and age – with vitality, grace and dignity. Healthy cognitive function means we’re able to retain our ability to think, learn, and remember. 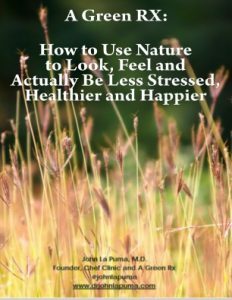 We can mentally reason, concentrate, make plans, evaluate and organize information in a variety of ways…and make our RealAge younger with what we eat, how we live, how we manage stress and sleep, and whether we are in nature. Cognitive health falls along a continuum, from optimal to mild impairment to severe dementia. There’s great variability in how dementia develops and how it progresses. Some people never show early signs and others can show a slow or a rapid decline. Some of the early signs of dementia include forgetfulness that disrupts daily living, inability to plan or solve problems, difficulty performing simple or routine tasks, and time/place confusion. Never Stop Learning. Ongoing research shows the brain is able to evolve and learn across the lifespan. The key is to keep those neurons (brain cells) engaged. Actively seek to learn and experience new things. Read a variety of types of books and magazines. Get the right equipment and learn to use it. Use an iPad. Travel. Learn a new language. Take (or teach) a class. Stay Connected. Involvement with family, friends, and community creates positive emotions that are linked with overall vitality. People who are alone most of the time show sharper declines in cognitive function. If family isn’t nearby, join a club or volunteer. Move that Body. Research indicates exercise improves connections among brain cells and may reduce risk for dementia. Aim for at least 30 minutes of exercise, five days per week unless otherwise advised by your physician. Get into nature and discover if you are missing a nature connection. Protect Your Brain. If you smoke, second hand smoke or heavily drink alcohol it’s akin to draining the brain’s natural resources. Smoking interferes with healthy blood circulation, not just in the body but also to the brain. Alcohol impairs communication between neurons and causes long-term changes in brain chemicals involved with memory, emotion, and coordination. Certain prescription medicines (or a combination of medicines) can affect cognition, memory or thinking. If you experience such changes, or notice them in a loved one, talk to your doctor, and write down your questions before you get to the medical office. And it goes without saying (but it’s always good to be reminded): Eating whole foods and a few sweets are the foundation for optimal brain health. Remember, dementia is no longer considered a normal and inevitable outcome for an aging brain. Use it or lose it!